The long revolutionary movements that gave birth to constitutional democracies in the Americas were founded on egalitarian constitutional ideals. They claimed that all men were created equal with similar capacities and also that the community should become self-governing. Following the first constitutional debates that took place in the region, these promising egalitarian claims, which gave legitimacy to the revolutions, soon fell out of favor. Advocates of a conservative order challenged both ideals and favored constitutions that established religion and created an exclusionary political structure. Liberals proposed constitutions that protected individual autonomy and rights but established severe restrictions on the principle of majority rule. Radicals favored an openly majoritarian constitutional organization that, according to many, directly threatened the protection of individual rights. 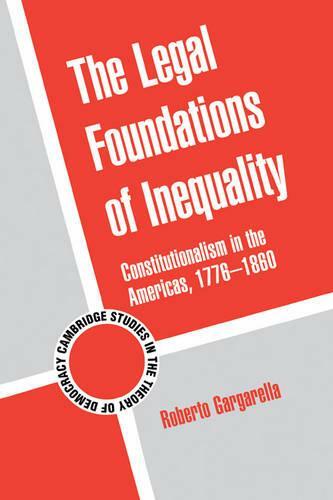 This book examines the influence of these opposite views during the 'founding period' of constitutionalism in countries including the United States, Argentina, Colombia, Chile, Ecuador, Mexico, Peru, and Venezuela.